Anita Abada spoke to Content Nigeria’s Gabriella Opara about her experiences on reality show Script2Screen, being named the best scriptwriter and her plans for the future. Anita Abada is a tenacious and vibrant lady with a flair for weaving stories together that pop on-screen. 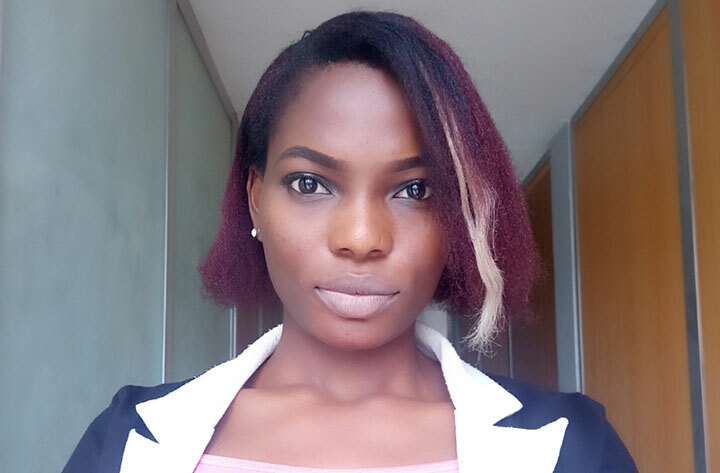 Hailing from the South-South region of Nigeria, Abada followed her dreams of becoming a screenwriter after graduating from the University of Benin. In pursuit of those dreams, she decided to participate in the Script2Screen Africa reality TV show. Abada spoke to Content Nigeria’s Gabriella Opara about her experiences on Script2Screen, being named the best scriptwriter on the show and her plans. What led you to participate in Script2Screen Africa? I am enthusiastic about filmmaking but most especially using filmmaking as a tool to address social ills. When I stumbled on Script2Screen Africa’s audition posters, the theme – Film as a Catalyst for Revolution – caught my attention and I really wanted to be a part of that movement because I share in the vision and wanted my voice to be heard. It was educative and intriguing. There was a lot to learn from every activity and mentor that was invited to the house. Who was your favourite mentor? This is a very tough question, I must say. Every mentor that graced the Script2Screen Africa house had something unique to offer. Though we spent more time with some than others, and we grew fond of those we saw on a regular basis, every mentor there had something essential we could tap from their well of knowledge. You were named the best screenwriter. What helped you achieve this? Two words: hard work and grace. Team work was an essential part of the show. How did you cope with working with others under pressure? I believe a team thrives better when it works in unity, and that was exactly what my team capitalised on. Everyone respected one another’s opinions and ensured the priority was executing our project and not individual differences. Who was your favourite team member to work with? Everyone in Group 3 was amazing and pivotal to every project. You and your team worked together to produce a short film. Tell us about it. Working on our last short film, The Catalyst, wasn’t an easy task. We had our ups and downs, but we focused on our strength and ensured we gave the project our best shot. In the end, we were glad we were able to put together such amazing work in just 48 hours. Just like the Script2Screen Africa tag – Film as a Catalyst for Revolution – there was a need to address social ills and bring them to the consciousness of the public. What have you been up to since the finale of the show? I am still following my passion for movies and writing. I see to the daily running of my co-founded website – Afri Reviews (www.afrireviews.com), an all-African movie review platform – and I also work as an independent screenwriter. What is the secret to a good script? Every scriptwriter should have a unique style and be unapologetic about it. Be creative about the way you tell your stories. I am a scriptwriter who explores the use of diverse languages in storytelling. I am passionate about telling the African story in a unique and colourful way. Script2Screen Africa is an annual reality TV show produced by High Definition Film Studios (HDFS), which aims to train aspiring filmmakers. Anita Abada was among 60 participants who took part in the seventh edition, which aired from March 24 to April 21 on Silverbird TV, Africa Movie Channel, Wazobia, WazobiaMax TV and AIT.